Beazley Insurance Company, Inc. is an insurance company that sells health insurance in the US, UK, and around the world. This UK based company was founded in 1986 under the name Beazley, Furlonge & Hiscox. Over the years, Beazley bought out his other partners and eventually the company simply became Beazley. Beazley is a participant in the Lloyd’s market, which is a worldwide insurance market and the largest insurance market in the world. For those of you who are not aware, Lloyd’s is a broker network that allows insurance companies to sell policies from multiple sources so that their customers can purchase all of their insurance products from a single source. Beazley has an AM Best rating of A and is considered a stable company with a great long-term outlook. What this means for you is that if you choose to purchase products through Beazley, then you will be with a company that is able to pay their bills. A refreshing thing about Beazley is that they provide their financial rating information from both AM Best and Standard & Poor’s. The refreshing part is that they publish all of the information provided by these companies, not just the rating. For example, Standard & Poor has given the company a higher rating, but in the lower end of that rating spectrum; many companies would not provide this additional information. Beazley Products are available in all 50 states in the US, throughout Asia and Europe. Beazley utilizes independent agents for their products; however, they do not provide an agent-finding tool on their website to make it easy for you to find an agent that sells their products. You can contact Beazley in order to find an agent in your area. There is no standard contract for Beazley, a contract unique to each agency will be created to best suite the agency and the products that they are licensed to sell. In order to make a claim, you have two options. You can contact your agent and have them assist you in making a claim, or you can go to the Beazley website to take care of your claim. On the Beazley website, all you have to do is find the type of product that you have purchased and click on the link for that product. You will then be directed to the best way to make your claim. In addition, you can print out some of the claims forms from the website, although not all of them are available there. Once you click on one of the links for a position, you will then be able to view the job description for the position. Although they probably offer plenty of benefits to work at Beazley, Beazley does not mention any of them on their website, which is surprising. What they do mention is that they are employee focused, train for upward mobility and they want their employees to succeed. According to some current employees who work with Beazley, this is a good place to work. They claim that the company is friendly and that things go along at a fast pace. One of the biggest complaints is that overtime is often required by the employees. 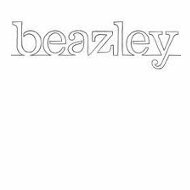 You cannot get quotes for any of Beazley’s products online. Instead, you will need to contact Beazley or work with an agent that is licensed to sell Beazley’s products. There is no indication on the website about how long it might take to get a quote once your agent submits your information, but currently there is not an instant quote tool or anything like that. If you are looking for health insurance, it is important that you shop around so that you can get the lowest rates possible. Comparing Beazley to other products ensures that you do not pay too much for your health insurance. Enter your zip code below to compare health insurance quotes and save money today!